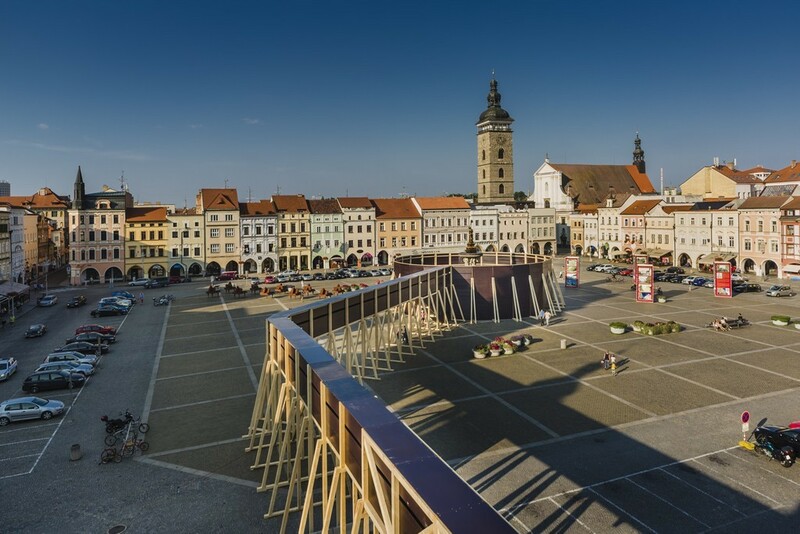 The Samson Fountain is an early 18th century Baroque masterpiece and a landmark in České Budějovice at the center of the old town square of Přemysla Otakara II. Nearby, the Domu umění města is a public art gallery – a kunsthalle for contemporary exhibitions. 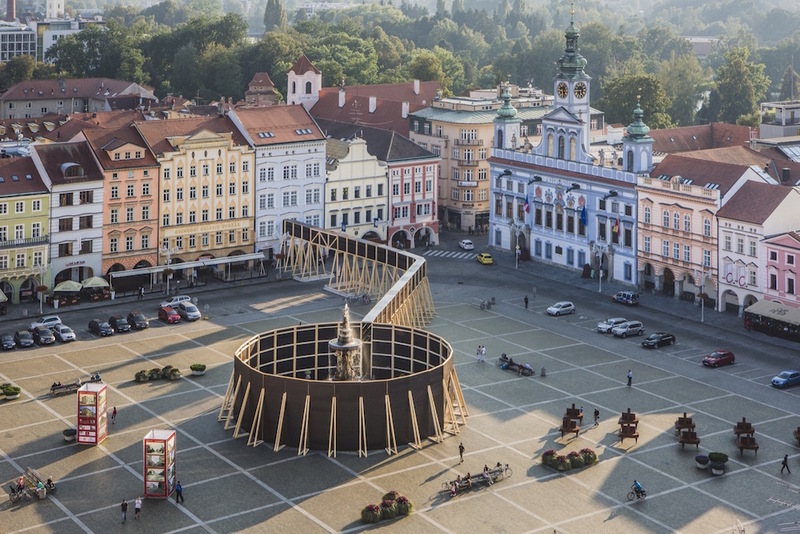 For Perception, Jan Šépka and the Domu umění constructed a circular structure around the fountain, connected by a bridge to the second floor of the gallery. 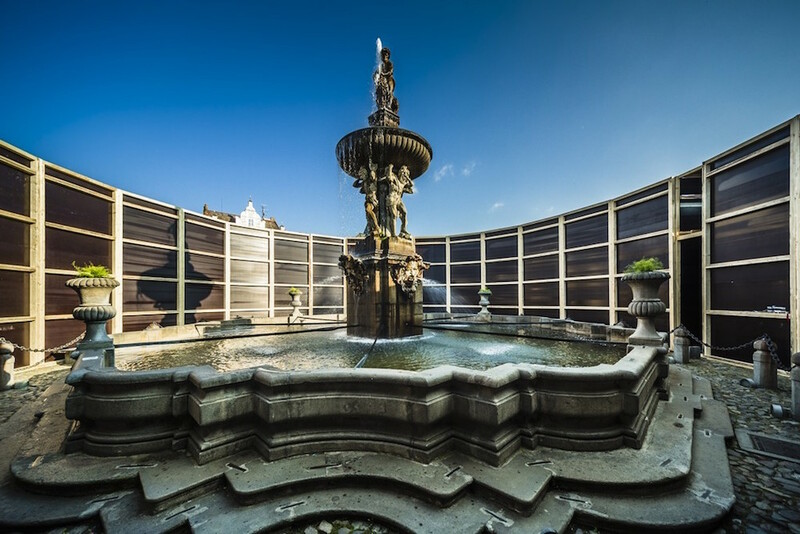 The fountain, for the first time in 300 years, is isolated from the public square. The gallery, which is otherwise nondescript behind one of dozens of edifices, becomes a focal point. The two unrelated spaces are connected for a temporary, intimate, public space. 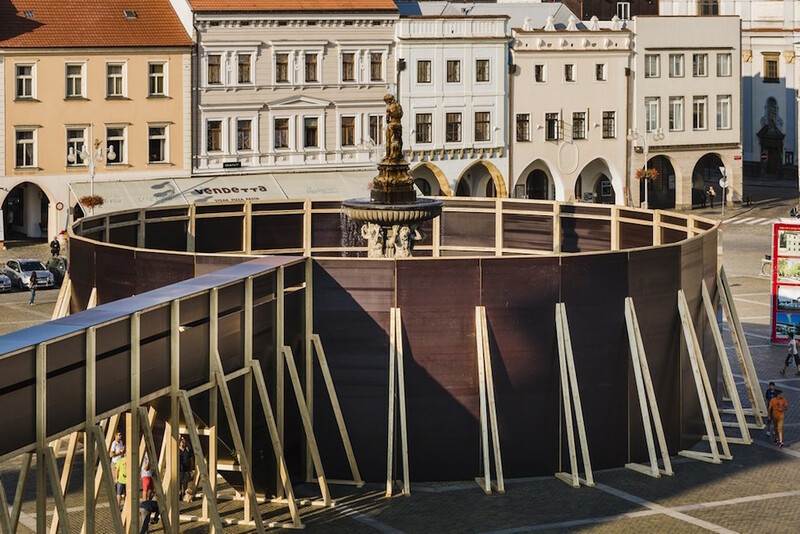 The Domu umění města is free to the public, and a lecture series for Perception explores the history of the old town square and its use, and the relationship of contemporary art and architecture. Perception opened on September 8 and continues through October 2, 2016. The Domu umění města has about 8,000 annual visitors, but attendance for this month is projected to be above 30,000.